Through education and bee rescue, Uncle Jer hopes to help conserve one of our most precious resources. Uncle Jer and his wife, Ellen, come to your public library, classroom, church group, civic center or senior center and present the Intriguing society of bees in a most entertaining way! Like us on Facebook to see occasional posts for bee-centric peeps! 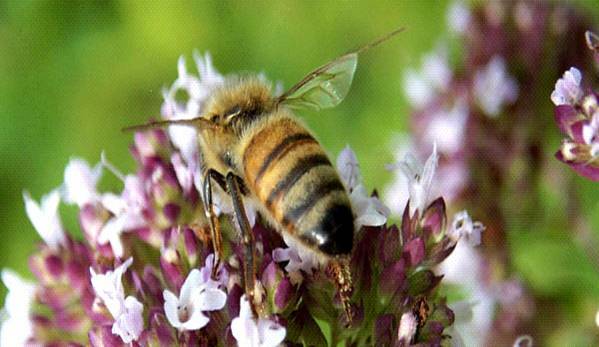 For Bee Rescue information please click link below. If you would like to see our User Resources, including “Word List for Students” and “The Almond and The Bee”, links to “Parts of a Flower”, “Bee Xray”, “Buzzworthy Plants That Attract Bees” please click here and go to the bottom of the page. Free Shows at Parks, Libraries, Etc! Please join us for a show sponsored by the Public Library and Friends of the Library and other free venues. Family shows (yellow text) are geared for adults children ages 5 and up. Backyard beekeeping classes (green) are a good introduction for preteen to adults who are interested in keeping bees. ﻿﻿﻿﻿﻿If you would like a show at your public library, please ask your local library's Youth Services Librarian to schedule a show! Site design and maintenance by Ellen. Please click my name to contact if there are any problems.